Yes guys your read the title well free sms on MTN network, this is a new innovation as you don't need to have airtime to send an sms when you are stranded , all you have to do is follow the steps i will be showing you and viola' you have send an sms for free. Don't get too excited as this sms is only for MTN to MTN users, NO app required just normal texting format. =>> An MTN sim with 0.0k on it. =>> Any phone is suitable . =>> Make sure its an MTN line you want to send an SMS To too. =>> Then you are good to send unlimited sms. Compose or create a new message. When inputting the number you are sending the sms to attach '38708' before the number . 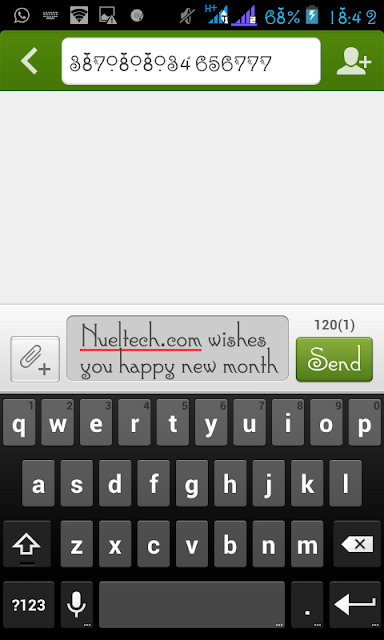 example: if you are sending the text to 08034656777 , it will then look like this 3870808034656777.